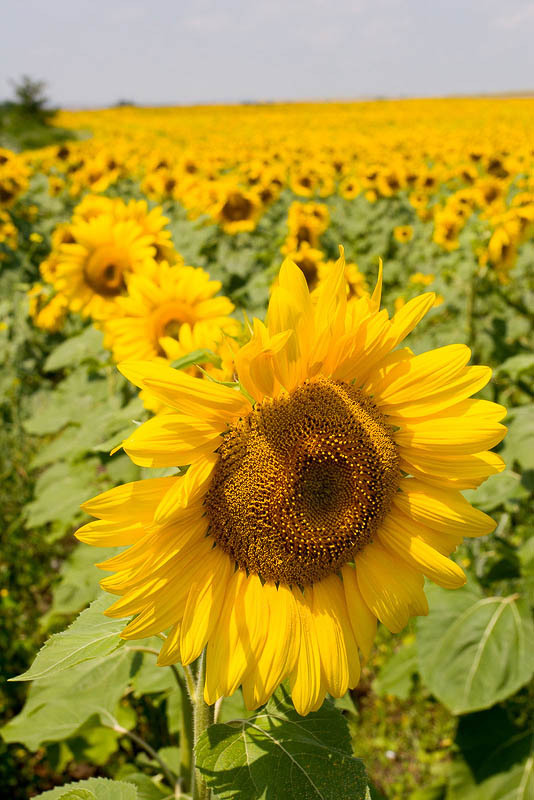 Scenery of yellow sunflower field to horizon. Macro of sunflower bloom on background of blossomed sunflower plants. Farming culture. Agriculture. Close-up of sunflower blossom.